Oh, I used to tell myself, I’ve always had a bit of a sore lower back. For sure, I’d remark to my reflection in the mirror, I’m not sleeping so well and that’s because of stress/Hashimoto’s/my sore back. Tall tales, people. We tell ourselves all kinds of things that we’re sure we know are the truth, right? But we can be mistaken. Two Saturdays ago, I woke up with an aching back (again), determined to do something I’d failed to do for the past THREE YEARS: go and buy a new mattress to replace my 12+ years old one. There’d been dozens of reasons that I’d put it off. Like… Mattresses are expensive, after all. My current one is okay, isn’t it? I don’t have time. I don’t have the money. I’ll just put up with the one I’ve got a little longer…!!! Until two Saturdays ago. I charged into a mattress store, determined to find a solution even though I still didn’t really have a lot of money to throw around. I lay down on a few different styles until I made contact with one that made me proclaim: well, this is different! And I discovered that the store had one of those interest free payment plan deals (cheaper than whacking it on your credit card!). 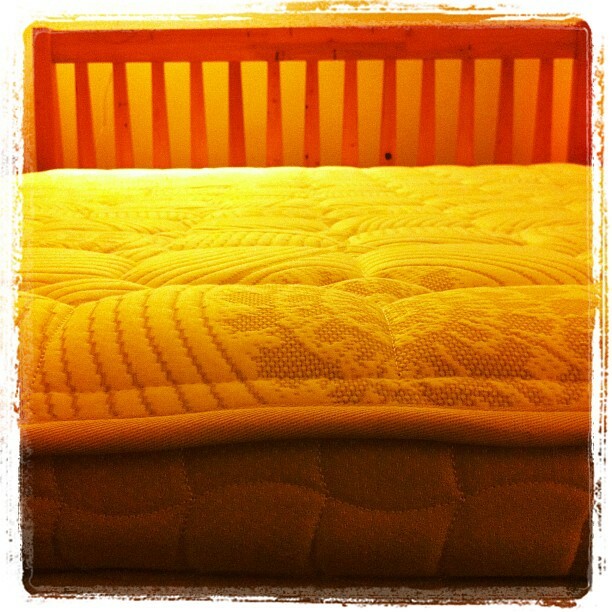 Within twenty minutes, I’d bought a new mattress. Finally. After years of procrastination. A week later, it was delivered. I woke up without a sore back for the first time in F-O-R-E-V-E-R. I also noticed that I’d woken up a few times during the night. Not because I was uncomfortable; it’s just that I was used to having to re-position myself to get comfortable over and over again throughout the night. I’ll have to re-train myself not to do that any more! Guess what? This habit borne of discomfort, was disturbing my sleep! Since then, I’ve been spending as much quality time as I can in my new bed, almost crying in relief at the difference it’s making to my life. That place where I rest my body and mind for eight hours a day? It is now Awesome to the Power of 100. It was well worth the effort to track down a quality new bed. Amazingly, finance options that work for you are usually available these days if you can’t pay cash. Stuff that’s happening in your life that you think is being caused by certain things – that might not be true and you don’t even know because you haven’t looked hard enough. It’s worthwhile refreshing/renewing/shaking up all of the important things in your life, on a regular basis. This also brings to mind the time when I really, really needed help with PTSD. I sort of knew I needed help, but I didn’t know what kind and I was hesitant to find out because I thought I couldn’t afford it. So I just didn’t get any for years. In the end, this was not to my benefit. Then, when I was getting sick last year and falling into a horrible depression, I told myself it was “just” PTSD re-surfacing. But in fact, what was going on was that I was physically ill with an out of control auto-immune disorder that was wreaking havoc in my body. Some things, they just aren’t meant to be skimped on. Like a really good supportive mattress, or your physical/mental/emotional health. And there’s always a way to get what you need, but you’ve gotta get out there and investigate the options! Wishing you joyful states of rest and the right kind of care for your body and mind. Hey Svasti! Totally get that bed thing. So happy for you that you have a lovely new mattress. We had a saggy old double bed and I slept horribly because [a] it was so uncomfortable and [b] I sleep like a hedgehog and he sleeps like a starfish – two sleeping styles that don’t match when you have a big guy and a small woman in a small sleeping space. So we bought a new king size bed that is comfortable! And it has enough room for us both to spread out if we want! Best investment we ever made. I think we humans some times [often?] don’t make change even when we know it’s good for us, because it’s EASIER to keep things as they are, right? lots of truth in this post-especially the parts about convincing the self of untruths. “do” an elevated fancy bed. but my sister spent a few grand on a fancy bed & swears by it. we are masterful at self-story-telling. spot-on.